Veronika Scott is a social entrepreneur and CEO and founder of The Empowerment Plan, a Detroit-based humanitarian organization. The Empowerment Plan is the culmination of a class assignment to fill a social need. Veronika, after five months of working with a local homeless shelter, she designed a heat-trapping jacket that transforms into a warm and weather-resistant sleeping bag. At one point during her visits at the shelter, Veronika was approached by a woman who stated that "We don't need coats. We need jobs." The Empowerment Plan is the organization created to hire and train homeless mothers to make the coats. The mission is: "Our goal is to help build a better life for those that have become trapped in the cycle of homelessness. We mostly hire homeless parents from local shelters to become full time seamstresses so that they can earn a stable income, find secure housing, and gain back their independence for themselves and for their families." 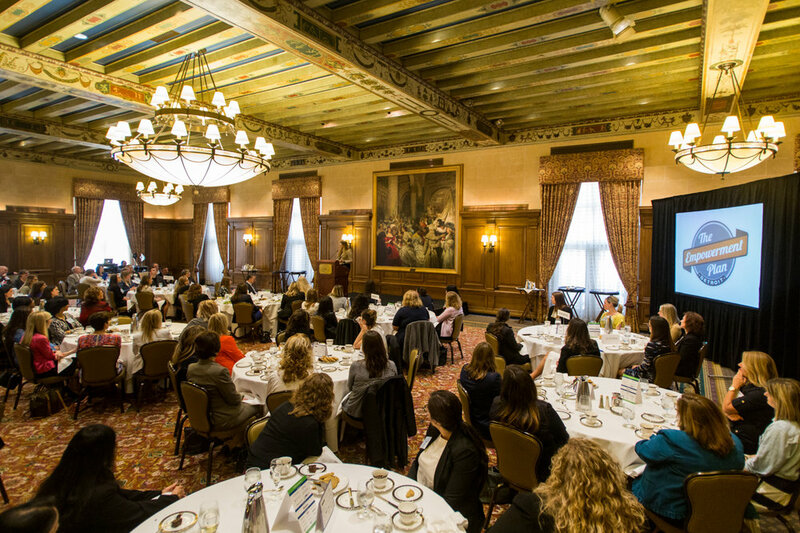 ACG Detroit had her come and speak to the "Women's Forum" which encourages networking and camaraderie among middle market female professionals in Southeast Michigan. The Detroit Athletic Club was the location of the event and as always, provided a wonderful meal, great service and an outstanding atmosphere. If you're interested in what The Empowerment Plan is doing in Detroit, here is a short video to help you see and hear about the impact they are making. They needed protection from the elements AND steady work. So Empowerment Plan gave them both. For more videos that care: http://u.pw/1rPmbv2 The Empowerment Plan makes coats that double as sleeping bags for the homeless, but they didn't stop there. They also provide people who have struggled with homelessness with jobs they need to get back on their feet again. If you're looking for photography for your business, whether that is event or marketing related, be sure to reach out to us. We love working with clients who are in the early stages of thinking through "what can we do that will be most effective? ".